Chris Tanner didn’t want notoriety – she just wanted insurance for her spouse and kids. That process took the entire childhood of those children and turned the family into activists. They have been part of two major lawsuits for LGBTQ civil rights in Oregon. University. They started a family and had a daughter and son in the early 1990s. Since Chris’s job paid more, Lisa would work part-time and care for their children. Unfortunately as a state agency, Chris’ employer could not legally provide insurance for an employee’s unmarried partner. Chris, Lisa, and 4 other plaintiffs sued. The case, Tanner v. OHSU, was a huge victory. 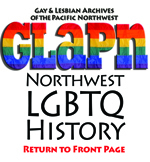 In 1998, the Oregon Court of Appeals held that Oregon’s Bill of Rights required public agencies to provide employees’ same-gender domestic partners with the same benefits that are provided to the spouses of married employees. 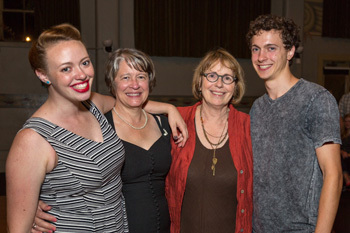 The couple legally married in 2004, when it became possible in Oregon, but their marriage was annulled by the passage of Ballot Measure 36, a constitutional amendment defining marriage in heterosexual terms. In 2013, Lisa and Chris saw an opportunity to change that. They became plaintiffs in Rummell v. Kitzhaber, a federal lawsuit seeking to overturn Measure 36. The judge combined the case with a similar one, Geiger v. Kitzhaber. On May 19, 2014, U.S. District Court Judge Michael McShane declared Oregon’s Measure 36 unconstitutional. At the 2014 Tanner-Chickadonz wedding, the children were old enough to serve as witnesses. We begin announcing a hero per day on June 1, and the heroes' posters are unveiled in a reception at Q Center on June 11, 2015, 5-7PM. The public is invited. 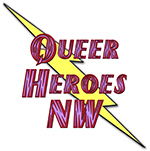 A traveling version of the Heroes posters will be displayed by GLAPN and Q Center at Portland Pride.